Relationship Building Idea. Kick start the New Year off. As a retired personal producer and agency manager that had the opportunity to build a 150 person life agency in 7 years, and possibly your insurance mentor, I want to share some selling ideas and concepts I became associated with over the years. Many of these proven and tested insurance marketing ideas helped my agents become successful in the life insurance business. Here is another idea to help you grow. Fantastic opportunity to build your brand name and let your special clients know they are special. Engage your special key clients using these 2 special holiday mailings, we just developed with Enfront. Effective relationship building is the key to turning a new client into at least SIX future policy sales. This is where most inexperienced agents drop the ball. It is a skill they have not yet developed or understand how important it is to maintain their career momentum with their existing client base. Largely, because they have not yet developed a system or the right mind set. Don't take this part of your business (Relationship Building) for granted. It is what creates the longevity of your insurance career. 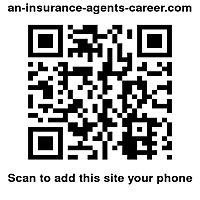 Get started and learn how to become THEIR insurance agent or just continue to be another insurance agent. Ted Wolk, author and website creator. Agency Managers and Recruiters. Use our agency building modules to fast start or fix your agency building and recruiting problems.